Simple to use and easy to follow, Learn to Dance aims to get you and your partner up on the floor and dancing confidently in a matter of minutes. Step-by-step photographic sequences reveal all the steps and turns you need to perform a scintillating variety of dances. Use the book to build your knowledge, technique and confidence before stepping out in public. 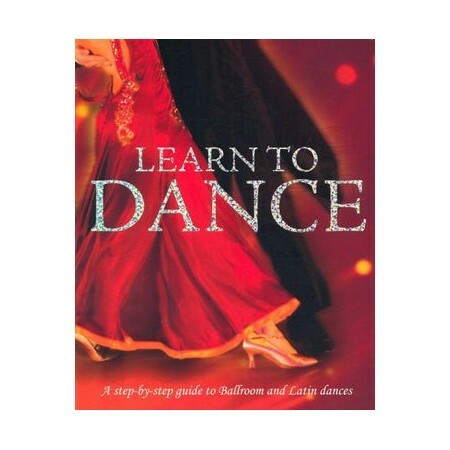 Discover detailed instructions for the Waltz, Foxtrot, Quickstep, Tango, Cha Cha, Rumba and other popular Ballroom and Latin favourites. Preparing for your first dance? Learn to Dance shows you all the right moves. Colette Redgrave began training as a dancer at the age of three, and went on to study dance and acting at the London Studio Centre, whose Founder Patron was the distinguished ballerina Dame Ninette de Valois (1898-2001). Colette graduated from the LSC with the Sheila O'Neil award for All Round Excellence, previously won by famous actresses Elizabeth Hurley and Tamzin Outhwaite - a distinction which, as she says, proved to me that I had strength enough to pursue a triple treat career in song, dance or drama.